The Bailiwick of Guernsey comprises the second largest of the Channel Islands, Guernsey, along with the sister islands of Alderney, Herm, Jethou, Lihou, Sark and Brecqhou. Guernsey is the best centre from which to visit the other Channel Islands because, in peak season, locals and visitors can take a day trip to all the other islands, incluing Jersey which is a seperate Bailiwick. Brecqhou and Jethou are private residences and not usually open to the general public. Guernsey's ten parishes offer the perfect mix of coastline, nine have part of the boundary along the coast, countryside and long winding cliff paths. Guernsey's most spectacular attraction is probably the unspoilt cliff paths that run from Havelet Bay all the way to Pleinmont. Despite being small there are over five hundred kilometres of roads and lanes to explore. It is believed that the island was spilt, geographically, into ten parishes around about the 7th century based around churches. For more information click the parish and Island links. 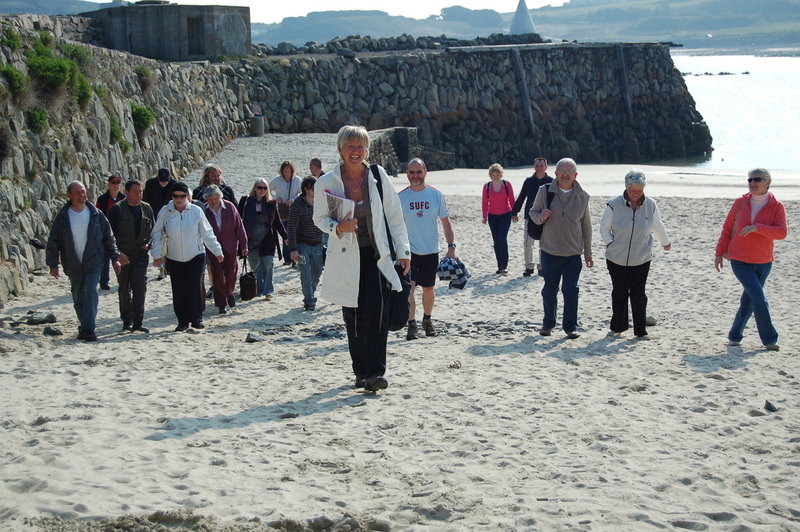 A guided walk through St Peter Port, or explore one of Guernsey’s Green lanes, themed tours, a taxi tour or a guided coach trip. 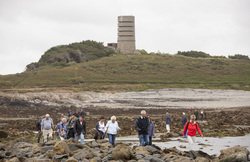 What better way to discover Guernsey than by taking a guided tour? Choose from an extensive program offered by accredited guides and get to know the Bailiwick of Guernsey from new perspectives. A guided walk can be a rewarding journey of discovery for both visitors and locals. Come face to face with Guernsey’s past and present through a selection of attractions, buildings, fortifications, stories, folklore and anecdotes.